By BloorwestSiR, November 5, 2014 in Double Trouble! 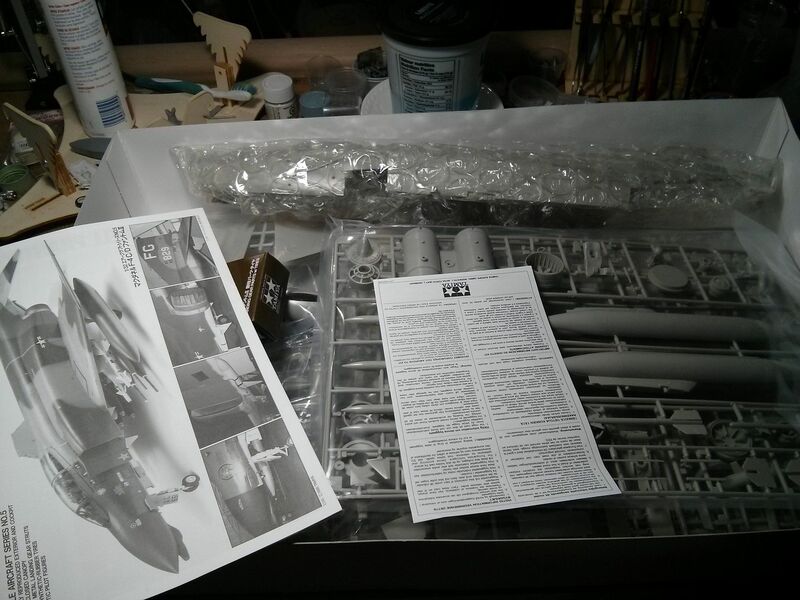 Well, since it looks like I'll be able to finish the UH-1 in time, I've decided to start a kit that at least I have some familiarity with how it goes together. This will be my third Tamiya Phantom and my first D model. I plan to work on it during the down time while the UH-1 is drying or when I want something a little more painless. I will be building it as the London Int'l Airshow version as I was fortunate enough to see the plane in person. In addition to the Speedhunter decal sheet, I have Rhino intakes, GT Resin exhaust cans, Eduard bang seats and cockpit PE, and AMS splitter ramps and chin pod. 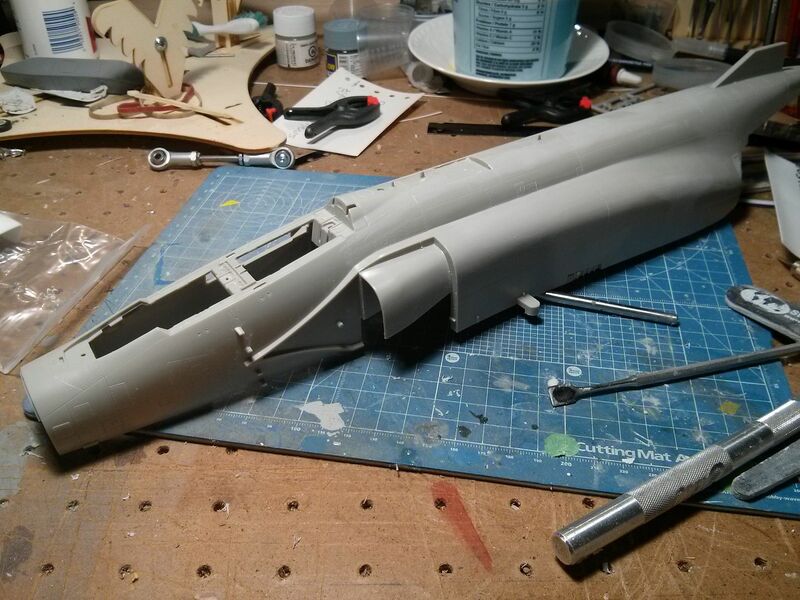 I started with the fuselage by removing most of the BDR patches and panels. 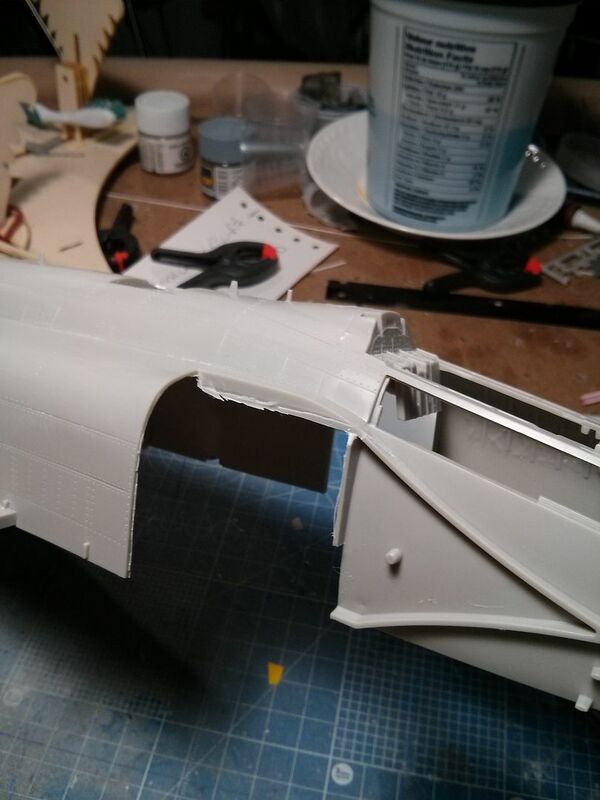 I used an X-acto to scrape the raised panels off and then sanding sticks to finish and smooth the fuselage. I then proceeded to remove the kit intake trunking in preparation for using the seamless intakes. 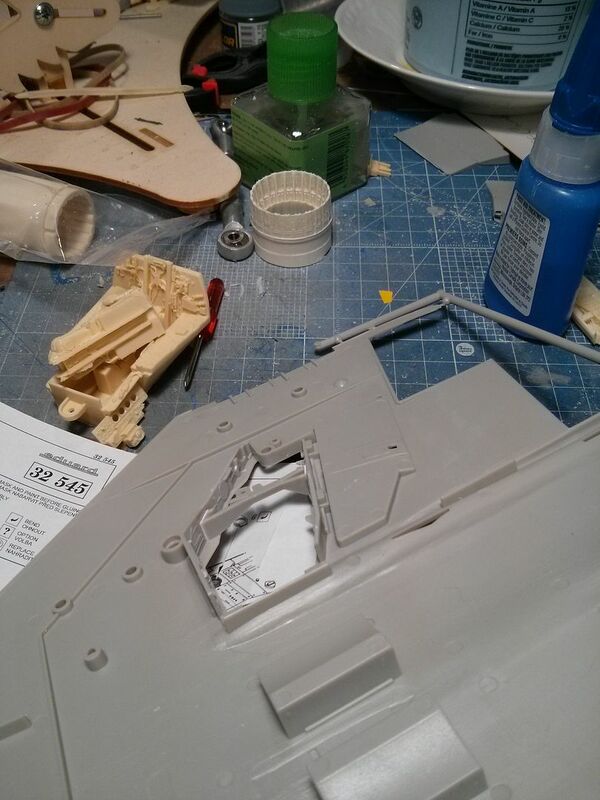 I used an panel line engraver to slowly cut through the plastic from behind. This seemed to give me the best control as well as cleaner results compared to my last time when I used a razor saw. Now back to the UH-1 tonight. nice start, you've got a heap of aftermarket there! Looks like some fun here, Super decals. Thanks everyone for the comments. Sadly, I haven't had a chance to work on anything the last couple of days due to a bad chest cold. Won't get into the gory details but I'm going to have to stay away from the work bench for a couple more days until I'm better. Thanks Harvey! It lookes like your well wishes worked since I haven't recovered this quickly from a chest cold in years. I managed to get some more work done on the kit. Not a lot, but it is progress. 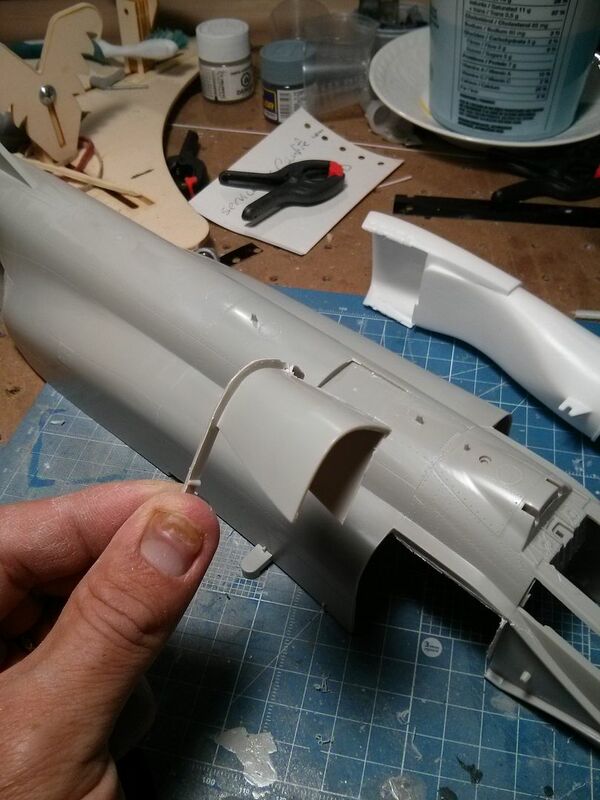 Anyways, I added the panel that covers where the Navy refueling probe goes and filled in the seams with a bit of CA. It's all smooth and ready for a quick coat of paint before I install the intakes and the splitter panels. This should make painting the rest easier. 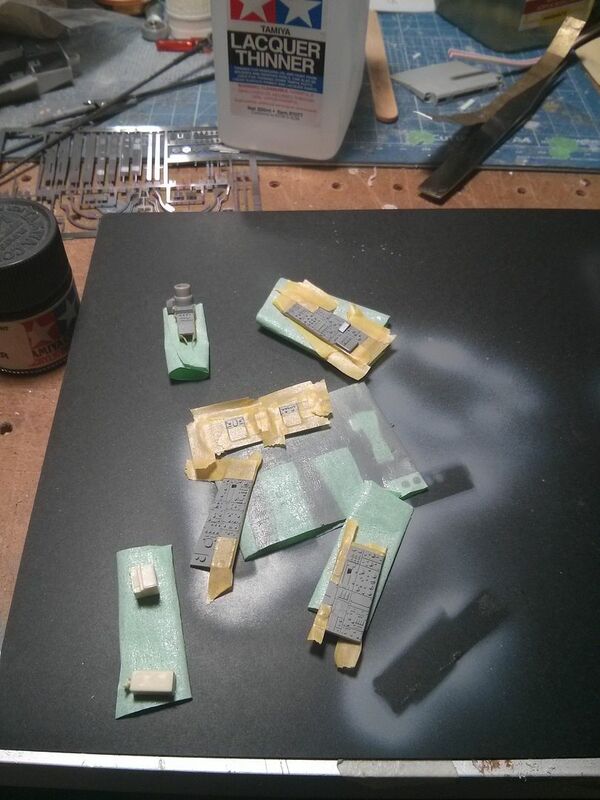 I also sanded down the IP panels in preparation for the Eduard printed ones. At the same time, I added the ones that go on either side of the cockpit tub near the crews' feet. 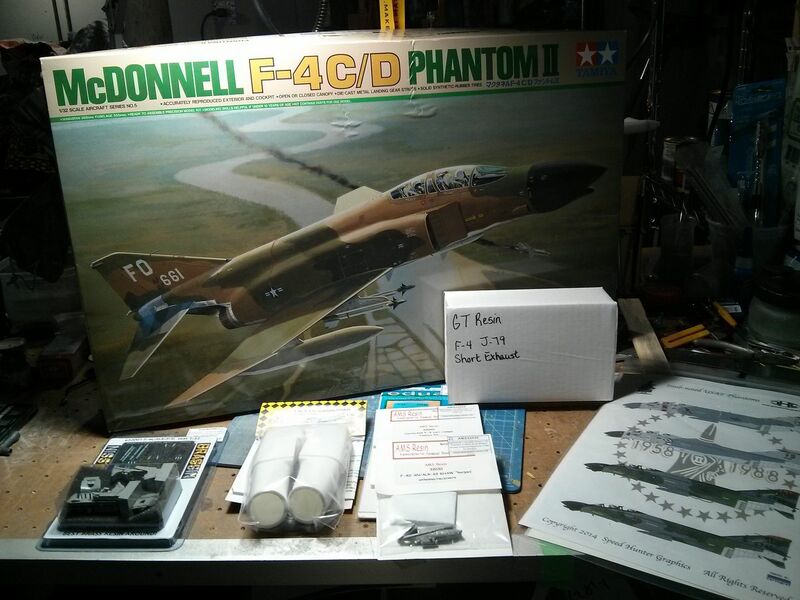 Thanks Harvey, your F-4 in the Vietnam GB is great. You're certainly fixing and adding more details than I plan to. Here's a quick update from work I completed a few days ago. 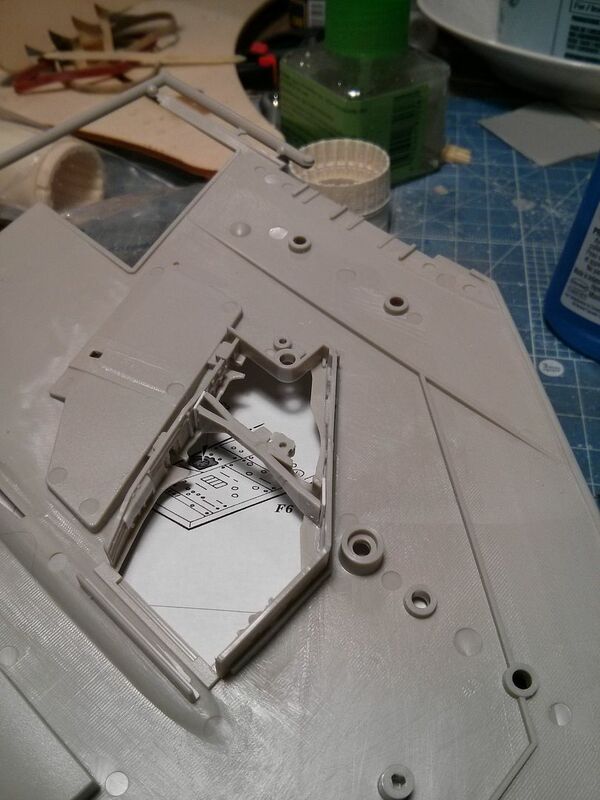 I attached the MLG bay walls to the lower wing. 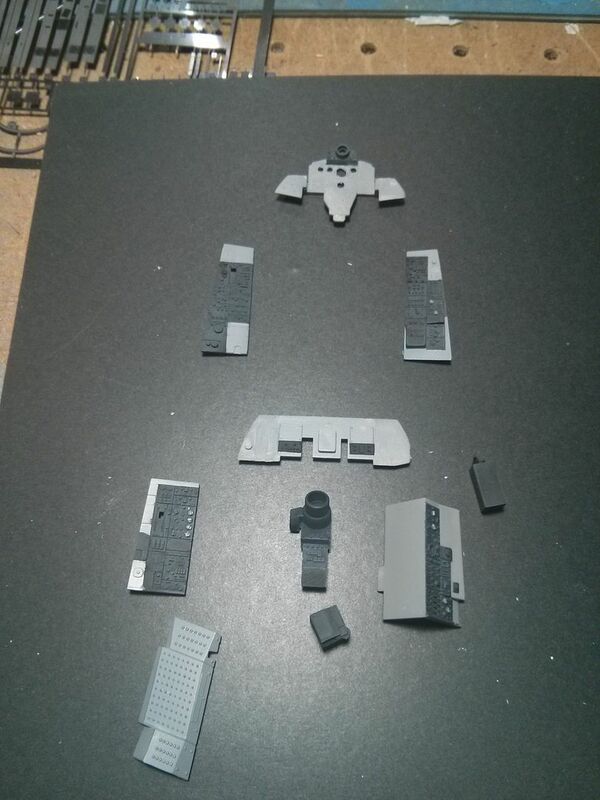 I had to add a couple shims at either end of the moulded in bulkhead to fill in the gaps. 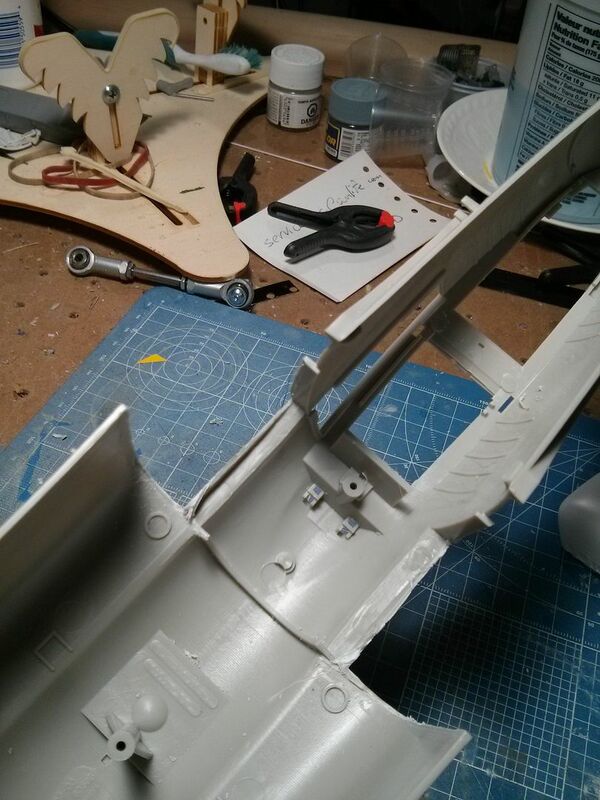 Following the Eduard instructions, I removed some of the raised details from various cockpit panels. 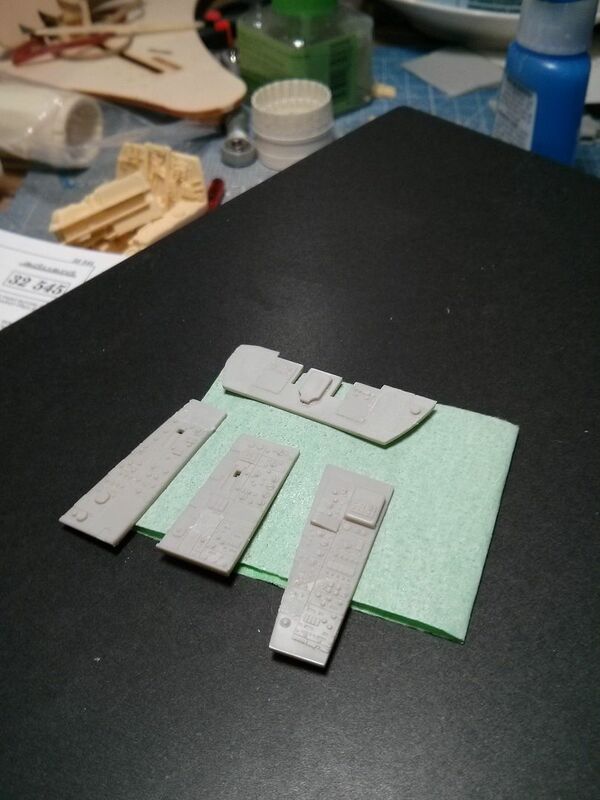 I airbrushed on a coat of Xtracrylics Neutral Grey as it seems to match the grey on the Eduard PE. Then I masked off the panels in preparation for the black sections. This was done using various widths of Kabuki tape. 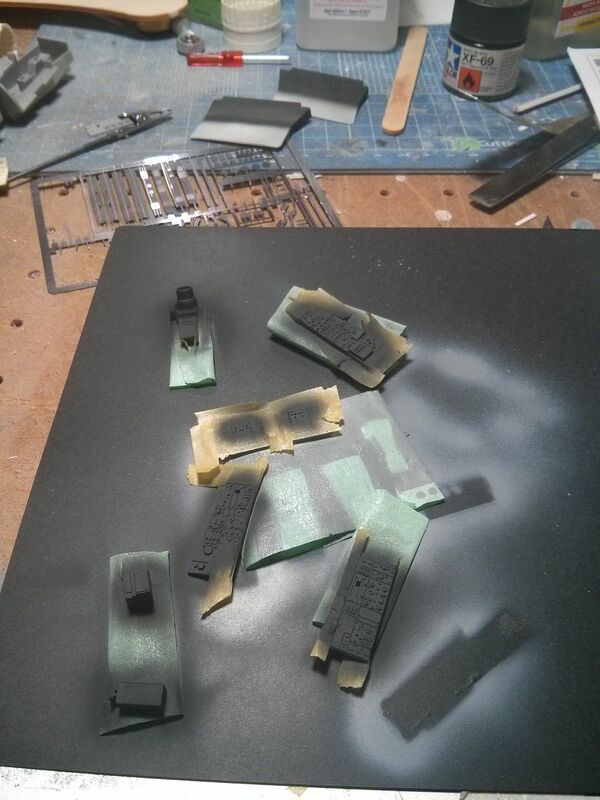 I airbrushed on Tamiya Nato Black thinned with their lacquer thunner. I still don't know how, but I managed to give myself a nice 1" long cut down my thumb. 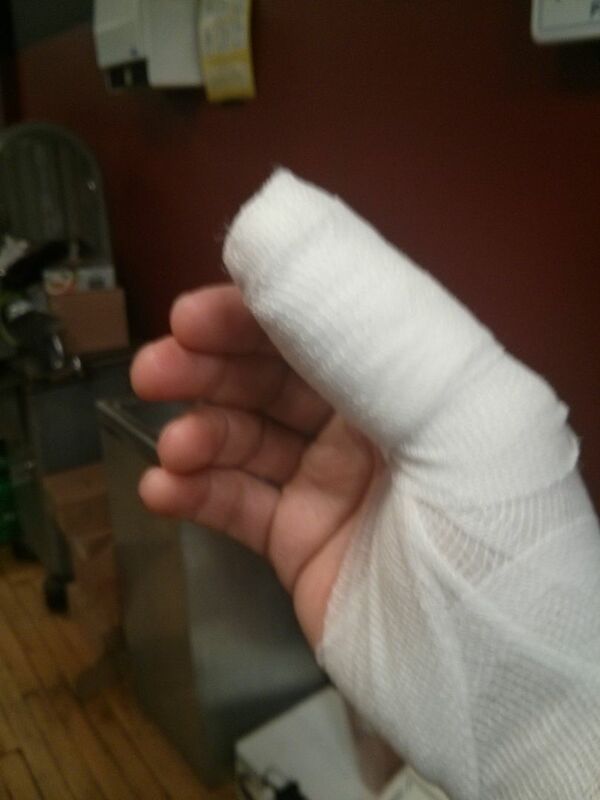 The odd part is I was holding the knife (a 12" scimitar for butchering) in the same hand when I cut myself. Of course I had a chainmail glove on my left hand to prevent cuts. Go figure. The good news is it is healing well so I should be back at the bench later this week I hope since I'm really getting into this build.